The private equity sector is buoyant as investors see the value rising against other asset classes such as hedge funds. But there are challenges for PE firm CFOs who are struggling to prevent the erosion of margins according to a report from EY. Nearly 40% of CFOs noted that margins have worsened over the past two years, and another third reported that they were unchanged. Only 28% have seen margin improvements. 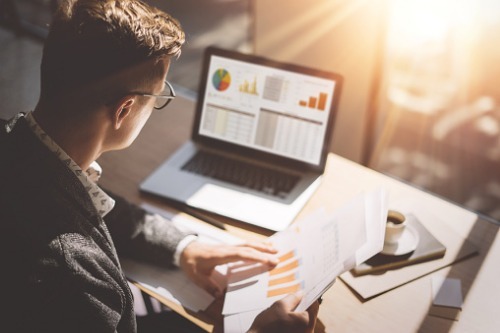 Its sixth annual survey of 103 private equity CFOs finds that despite great strides in launching new products and investing in technological solutions, expenses continue to grow as fast as assets. And the gains in assets are being driven by investors who are typically allocating 18% of their portfolio to traditional PE holdings with 40% saying that they plan to allocate more capital to the sector. PE firm CFOs are responding to this investor attention, with over half of saying that they expect to raise a new fund in 2019 while 65% expect that the new fund will be larger than their last. Investor preferences mean that CFOs are launching new strategies, with only 41% strictly increasing assets in existing strategies. For those who offer or plan to offer non-traditional products in the next two years, 35% will focus on private credit, and another quarter will focus on products across real estate, real assets, and venture capital. The EY survey reveals that private sector firms are lagging others in financial services in adoption of some tech areas. Over the past two to three years, PE managers have made technology investments in the areas of fund accounting (66%), investor relations (62%), accounts payable/time and expenses (57%), and compliance and regulatory reporting (56%). However, PE firms have been slow to adopt robotics with the largest firms (by AUM) the furthest along in pursuing next generation technology investments; 52% are planning to make an investment in robotics compared to just 10% of the smallest firms.